Pennsylvania's Trolley Car Heritage - Signed by the Author! 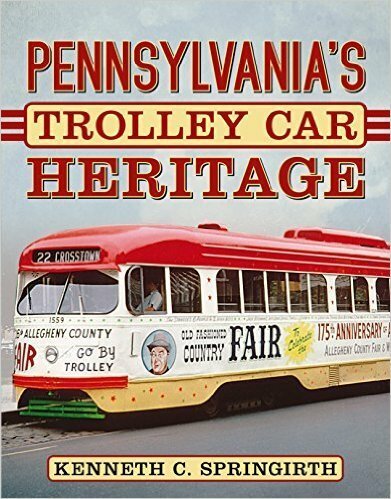 Home / Pennsylvania's Trolley Car Heritage - Signed by the Author! Trolleys of Pennsylvania is a photographic essay covering trolley car systems in Pennsylvania. Pennsylvania had more operating trolley companies than any other state in the United States. Fairmount Park in Philadelphia was the first park in the world to have a trolley car line located entirely within the park. Johnstown, Pennsylvania, was the smallest city in the United States to place in service new modern Presidents' Conference Committee cars. Until Philadelphia's Route 62 (Darby-Yeadon) was combined with Route 13 in 1971, Route 62 was the shortest trolley car line in the United States. 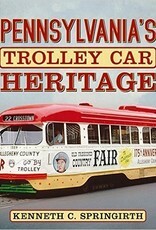 This book provides an insight into a variety of trolley car lines that have contributed to Trolleys of Pennsylvania.